I created this wallpaper using raw materials from the manga. 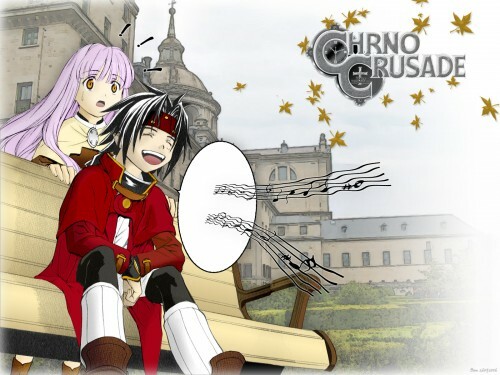 Chrno's image is taken from the manga volume 3, and Azmaria's pic is taken from the volume 2, respectively. The building in the background came from a monastery image, to put up with the idea of Magdalan's Order monastery. Some touching with Photoshop, and now it blends quite well (well -- at least for me :) ).